Even without “This Is Us,” NBC was able to squeak out a win in the key ratings demo on Tuesday, when the “NCIS”-led CBS comfortably topped primetime in total viewers. 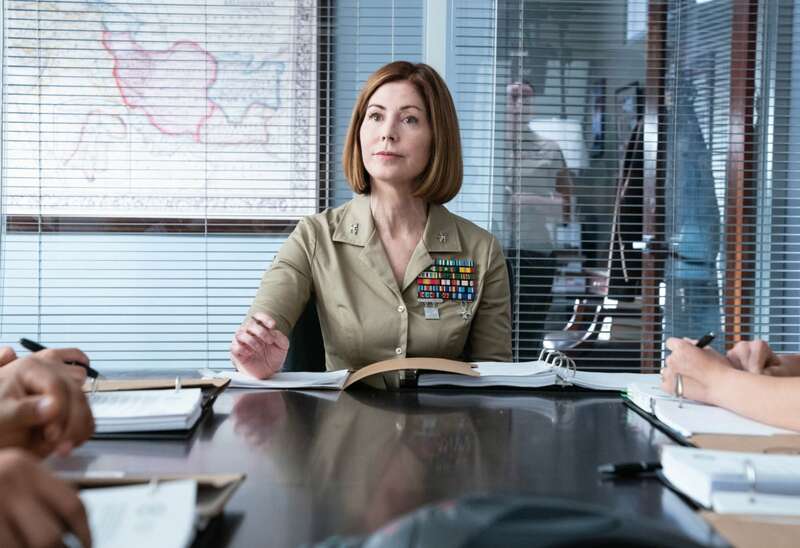 At 9 p.m., the network’s debut of new military drama “The Code” drew 8.2 million viewers, but averaged just a 0.7 rating/3 share among adults 18-49. CBS finished a close second in the main demo. ABC and Fox tied for third in that age range last night. NBC was first in ratings with a 0.9 rating/4 share in the advertiser-coveted 18-49 demographic and second in total viewers with an average of 5.3 million, according to preliminary numbers. “The Voice” at 8 p.m. posted a 1.2/6 and 7.2 million viewers. “The Village” at 9 had a 0.7/3 and 4.2 million viewers. “New Amsterdam” at 10 got a 0.7/4 and 4.6 million viewers. CBS was second in ratings with a 0.8/4 and first in viewers with 8.8 million. “NCIS” at 8 put up a 1.1/6 and 11.6 million viewers. After “The Code” premiered, “NCIS: New Orleans” at 10 received a 0.6/3 and 6.7 million viewers. ABC and Fox tied for third in ratings, both with a 0.6/3. ABC was third in total viewers with 3.2 million, Fox was fourth with 2.3 million. For ABC, “American Housewife” at 8 had a 0.7/4 and 3.6 million viewers. At 8:30, “The Kids Are Alright” got a 0.6/3 and 2.9 million viewers. “Black-ish” at 9 received a 0.7/3 and 2.9 million viewers. At 9:30, the season finale of “Splitting Up Together” closed the broadcaster’s sitcom block with a 0.6/3 and 2.5 million viewers. “The Rookie” at 10 finished off primetime to a 0.6/3 and 3.6 million viewers. For Fox, “MasterChef Junior” at 8 had a 0.7/4 and 2.7 million viewers. At 9, “Mental Samurai” got a 0.6/2 and 1.9 million viewers. Univision and Telemundo tied for fifth in ratings, both with a 0.4/2. Univision was fifth in total viewers with 1.3 million, Telemundo was sixth with 1.2 million. The CW was seventh in ratings with a 0.2/1 and in viewers with 708,000. Following a rerun, “Roswell, New Mexico” at 9 received a 0.2/1 and 817,000 viewers.